Home Android Samsung Galaxy Note 8: Release, Rumors, Deja Vu? 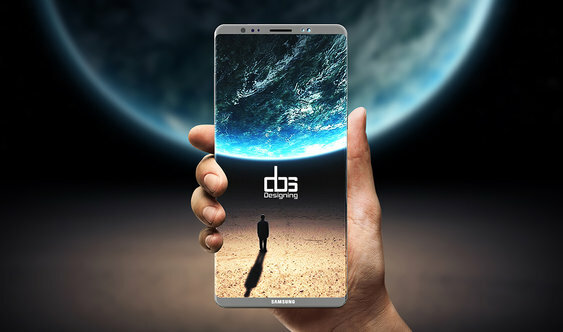 Samsung’s latest business-facing handset is set to be released this year with a price that that is as amazing as its specifications. It’s called the Samsung Galaxy Note 8 – and for the tech-savvy, it might trigger a feeling of deja vu. Four years ago. Samsung already had a product called Note 8.0 (notice the difference?). It was an 8″ tablet computer equipped with a quad-core Exynos 4412 SoC (1.6 GHz), 2 gigabytes of RAM, a 5-megapixel camera, 16 or 32 GB of internal storage, and running Android 4.4 (KitKat). Except for the screen size, this sounds a lot like a cheap smartphone you might be able to buy today, perfectly capable of keeping up with friends on social media, playing at mobile online casinos, reading the news, and running puzzle/casual/word games. This year’s Note 8 will be a lot different, though. The yet unreleased smartphone slash tablet will have superior specs, a more beautiful (yet smaller) screen, and a price tag that’s a bit spicy for the average smartphone user, to say the least. So, let’s take a look at what we know about Samsung’s upcoming S Pen-equipped smartphone. There are quite a few details available about the upcoming handset – with the exception of its brain, the “system-on-a-chip” it will be powered by. Rumors speak either of Samsung’s own Exynos Exynos 8895 processor with eight cores running at 2GHz+ or Qualcomm’s Snapdragon 836 capable of running at 2.5GHz. The rest of the components under the phone’s slim and stylish hood will include 6 GB of RAM, up to 128 GB of internal storage, an amazing camera with a dual 13-megapixel sensor (and dual, two-tone flash), WiFi, Bluetooth, GPS, NFC, USB 3.1… but no FM radio – who needs that in the age of internet music streaming? The sensors built into the upcoming phone will also be amazing – it will have an iris scanner, a fingerprint scanner, a barometer, a heart rate monitor and a SpO2 (peripheral capillary oxygen saturation) sensor aside from the usual ones. As you might expect, the Samsung Galaxy Note 8 will come with Android 7.1 (Nougat) out of the box, with the latest version of TouchWiz Grace UX on top of it. In most markets, the phone will also come with Qi Wireless Charging, S Voice natural language commands and dictation, and the usual software we’ve got used to in Samsung phones in the past. According to rumors that have been circulating for a while now, Samsung’s Galaxy Note 8 will cost around 1,000 euros (approximately $1150) upon its release. Said release is expected to happen sometime at the end of August or the beginning of September, according to recent hints circulating online. Previous: Virtual Reality (VR): Future or Hype?